It may be controversial but we’re going to come right out and say it – November’s lineup for Wednesday’s Nights at the Hollywood Hotel in Sydney may be the best yet. No disrespect to those amazing artists that have come before (and there have been so many) but just looking down the names of returning favourites and new additions gets us more excited than a banjo player at a hoedown. Joining The Falls’ Wednesday night residency at the Hollywood this month are arbori:, Lissa, Jack Carty, Evil J & Saint Ceceilia, Brendan Maclean, Packwood (above), and Mustered Courage. We told you it was amazing! As usual entry is free and the music kicks off around 8PM. For more information (and lineup changes) make sure you RSVP to the official Facebook event here. The schedule for the next five weeks is below with arbori:, The Falls and Lissa taking to the stage this Wednesday the 2nd November. 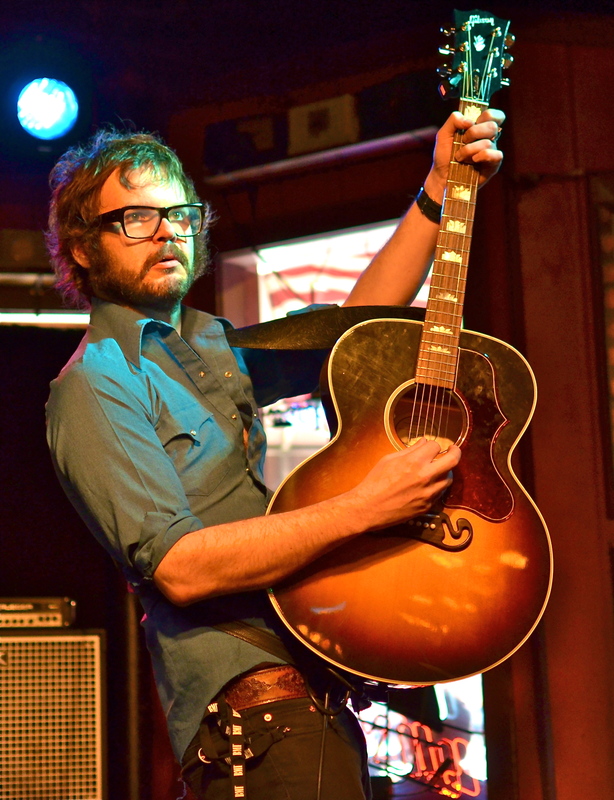 To celebrate the start of the Wagons & Joe Pug East Coast Tour kicking off today, Timber and Steel’s KT Bell nabbed leading man Henry Wagons fresh of an international flight to ask him about the last year in the life of Wagons. KT Bell: It’s been one hell of a year for touring for Wagons with some amazing stories from the road, a terrific album winning all kinds of praise and accolades, but tell me, has there been any quiet, out of the public eye moments this year that have helped you achieve it all and keep your head? Henry Wagons: Having to sing Suspicious Minds and See See Rider at a family 60th birthday through a PA the size of a shoebox, only a couple of days after returning from a long US tour kept me pleasantly grounded. On top of that, the party finger food of dim sims and party pies was a refreshing change from a month of burgers and fries. Another constant behind the scenes source joy for me is the ongoing development of my dogs Peeps and Gordon. They are always a welcome distraction from the hectic music stuff going on at the moment. Peeps continues on his path as a neurotic nerd and Gordon remains a carefree, yet kind hearted, village idiot. I love them both and miss them when I’m away. KT: Rumble, Shake and Tumble has been really well received so far, what has been your favorite fan response to the album and are you expecting any crazy antics from fans on your upcoming tour? HW: I always have time for audience members telling me they like the record after a show, but my favourite moments are when I hear about the record slipping into people’s everyday lives. I occasionally get people tweeting that they were enjoying the record in the car on the way to work that morning. I love the idea of being the soundtrack to someone’s day, slowly brainwashing them. foods. Someone in Tasmania gave me some blueberry, bacon and egg breakfast biscuits. They were surprisingly amazing! Some more gifts like that would be appreciated!! KT: Your East Coast tour has stellar support act choices, how did you come to line up those ducks? HW: I first heard Joe Pug‘s name come out of Justin Townes Earle‘s mouth when I was on tour with him in Washington State. He was talking about Joe in the most glowing terms. So much so that I checked him out online and liked what I saw. Since then Joe and I met when we both played the same festival in Seattle earlier this year. He seemed like a really nice guy. Now, I can’t wait to spend some more time with the man touring together here in Oz. Jordie Lane is also playing many of the shows. He is one of Australia’s finest songwriters at present in my opinion. I’m really glad he is on the bill too. We actually plan to all play some songs together at the shows. There will definitely be enough songwriters in the one room to do so…we could do an amazing Kumbaya session if nothing else. KT: You’re playing a couple of solo sets in some out of the way venues and you’re playing one of my all time favorite Sydney venues, The Vanguard. Do you have venues you believe fit Wagons more than others and what venue and what venues are you just dying to play? HW: I’m looking forward to the Vanguard. Its a great place to both see and play music. There is something about it that is kinda spooky in a good way. If you squint, it could be taken out of a David Lynch movie. I am not fussy when it comes to venues. I like interacting with whatever space I’m in. I’ve played the full gamut of venues, from being shoved in the corner of a room at a bar to big theatres, to the centre of a football ground. I generally love each and every one, provided there are a few faces pointed my way. KT: Timber and Steel are excited to be co-presenting the Sydney leg of your tour, but we’d love to know where you think the folk scene is heading in the future? HW: With the huge indie folk movement sweeping the world, folk music as a whole seems to have some very solid foundations. I think its up there with rock n roll as a kind of music that will remain powerful and present for a long time. It’s not like there is an overhanging threat that in a few weeks it’ll be back to Big Band. KT: And finally, are there any upcoming acts you think Timber and Steel should check out? HW: I am currently soaked in the US Americana scene having just returned from the Americana Music Awards in Nashville. I’d say I know a little more about the scene there than I do about local stuff at the minute. I loved a band called New Country Rehab from Canada. Jessica Lea Mayfield is currently exploding over there. She is great…haunting, naïve and wise at once. The Dirt Daubers are a really good time ye olde type band who killed it too. The Civil Wars are a phenomena. I hope you’ve got plenty of download space in your internet plan this month, cause if you don’t know these bands, you may have some work to do looking those guys up! Tasmania’s premiere folk event, the Cygnet Folk Festival, will be celebrating its 30th year in 2012 and they’ve just released a pretty amazing program of artists for the occasion. Held in Cygnet, south of Hobart, the Cygnet Folk Festival takes place from the 6th to the 8th January. Headlining the event this year are European folk group Ethno in Transit, Tennessee based singer songwriter Hannah Aldridge, US guitar master Dale Miller, trad autoharp players and multi-instrumentalists Cindy Harris and Eileen Kozloff, two of the UK’s finest young fiddle players, Simon Bradley and Anna Wendy Stevenson, performing with the Simon Bradley Trio, Melbourne based My Friend the Chocolate Cake and WA’s The Miles to Go Trio. The lineup is also peppered with Timber and Steel favourites including Andrew Winton (above), Evan and Mischa, Evelyn’s Secret, Fred Smith and Liz Frencham, Penny Larkins & Carl Pannuzzo, Quarry Mountain Dead Rats, The Crooked Fiddle Band and many many more. As a preamble in many of the articles we publish on Timber and Steel, we often feel the need to discuss the evolution of the folk music genre to provide some context, historically and culturally, for whatever artist or subject we mean to write about. After all, it’s very difficult to write generally about a genre which is so varied and dynamic. It occurred to me recently that the enduring nature of the genre and its propensity to be moulded and adapted could be at least partly attributed to the fact that it has been, and should continue to be a tool of the people. It’s common knowledge that folk music has been strongly affiliated with the progressive social movements of modern history. From civil rights, to labour rights, to peace; matters of fundamental ethics that good people know instinctively to be true and worth defending have been championed and circulated amongst the masses with the aid of folk music. Although there’s obviously a lot of problems with the world, it’s this writer’s humble opinion that the next unified and world-wide social movement will occur in reaction to the inevitable changes brought about by climate change, and again, I expect folk music will adapt and become a prominent tool of the movement. The power to motivate and inspire is by no means limited to folk music, and for this reason I am entirely grateful that organisations like Womad and Arts Projects Australia have the foresight to combine the realms of music and ideas festivals, both for people’s enjoyment and the common good of educating and empowering audiences as they’re entertained. I’ve had a love-hate relationship with music festivals for the past few years. Although Womadelaide continues to sparkle as the diamond in the South Australian rough, I’ve really been left with no other option than to stand myself disappointedly at the sidelines of festival franchises such as Big Day Out, Parklife, Future Music and an array of others as the festivals move further away from celebrations of art, innovation, talent and culture as the market unquestioningly binges upon whatever the industry puts on the table. As well as fulfilling all the essential criteria for a positive festival experience (plenty of clean toilets, enough food, lots of space, access/egress, free water, good transport, enough staff/security), Earth Station‘s focus on information and academic pursuit through it’s countless forums and panel discussions on topics such as global warming, population growth, environmental politics, renewable energy, the future of agriculture, sustainable business and development and environmental consumerism from some of the world’s leading academics, journalists, authors, researchers and professionals ensured that not only was the festival an incredibly inspiring and challenging experience, but it was also attended by a wonderful and enjoyable cross section of intelligent, curious and open-minded people. Even myself, that was predominantly there for the music originally, only found time to catch one or two performances all weekend as I found the conversations too engaging and exciting to miss. I’ve never experienced such a pleasant festival environment. The scenic nook of The Belair National Park that plays home to the festival is the most incredible environment for the purpose and you can see it written all over the international artists’ faces when they make their way out onto stage that they are just in awe of the scene. However, in my opinion, the event could be accused of pigeon-holing itself amongst the “world music” audience, albeit understandably. It’s never easy for a festival to get a start. It can take years before word of mouth filters down to where it needs to, and Earth Station Festival obviously looked to take advantage of the fact that many South Australians already have a deep love for Womadelaide festival and programmed the music and procured markets and decorations that would entice that already strong and active existing market. As you would expect, that targeted Womadelaide audience is typically comprised of an already very environmentally conscious faction of the community. Whilst I can understand that Earth Station Festival is as much about motivating people that are already well informed to take action and planting ideas of how one can go about making a difference, at times I got the feeling that the speakers were preaching to the converted. In the future, as Earth Station grows its roots, I’d like to see the music programme diversify and broaden its catchment areas to encourage different communities to get involved. For a movement that seeks to engage the younger generations and whose focus is on the people that are breaking new ground for sustainability in communities, business and science, surely the music programme needs to gradually move towards echoing that and featuring the most talented and progressive artists that are, in the same way, breaking new ground in the world of music and making waves because of it. The Tallest Man On Earth, who was no doubt the artist on the bill with the most wide-spanning youth appeal had the best crowd of the festival and the last day of the three on which he was programmed was by far the busiest. Whilst it will always be worth while broadening an audience’s horizons with fantastic music from other cultures, this festival has the opportunity to engage a much wider audience in the future if its music programme would move only slightly further into the contemporary and reactive direction. Over the last month, South Australia has been privy to The Adelaide Festival of Ideas, The Festival of Unpopular Culture, and now with Earth Station Festival thrown in the mix, its been a wonderfully empowering and thought-provoking time to be a South Australian (with free time) over the past few weeks. Furthermore, the positive reaction to these “ideas festivals” tells me we’ll be seeing a lot more of them in the future. Following on from their success hosting one of Matt Corby’s Secret Garden Show’s the folks at the Fitzroy Palace in Sydney’s Ashfield have decided they’re onto a good thing and made the venue a permanent fixture – Sydney’s only regular garden venue. With “giant chalkboards, delicate lighting, kilometres of bunting and old trees that envelope the performance space” The Fitzroy Palace sounds like the perfect way to spend lazy summer evening’s listening to amazing folk music under the stars. The next show to grace the Fitzroy Palace will be the Super 8 projector Picnic on the 19th November. the night will feature old Super 8 footage projected onto a big screen while the dulcet tones of Packwood, arbori:, The Falls and Chelsea Gibson (above) entertain your ear canals. The night is but $10 and the refreshment is BYO. To sweeten the deal the Fitzroy Palace folk are offering free tickets to the Super 8 projector Picnic graces the Excelsior in Glebe the night before (the 18th November) to see Susy Blue, arbori:, Achoo! Bless You – now that sounds like an amazing deal. Have you heard All Through Winter, the new album from Georgia Fair yet? How good is it? Those guys truly are ahead of the game when it comes to catchy folk-pop music. Following on from their announcement in the lineups of both the Golden Plains and WOMADelaide festivals Swedish folk-pop sister act First Aid Kit have announced they will be playing sideshows in Melbourne, Sydney and Brisbane next March. I think we’ve worked out the difference between punk-folk and folk-punk. Punk-folk seems to be mainly folk songs done in a punk style (Dropkick Murphys spring to mind) whereas folk-punk seems to be music with a punk sensibility performed in a folk style. Sydney’s Isaac Graham falls firmly in the latter crafting perfectly subversive acoustic songs. Graham’s new single, “Nomads”, has been given the music video treatment (which at first seems like live clip) shot at Blackwire Records in Annandale. He is also offering up “Nomads” as a free download from his Soundcloud site, which also includes a cover of NO-FX’s “Lori Meyers” as a B-side for the single. We’re getting pretty good at this prediction thing. In the last month we have started rumours around festival appearances next year from Eddi Reader (above) and Sharon Shannon and lo and behold they’ve both been announced for the 2012 WOMADelaide festival. And its looking to be another Timber and Steel friendly event again next year with Blue King Brown, First Aid Kit, The Pigram Brothers and The Bearded Gypsy Band also making the WOMADelaide first lineup.